I bought this tree in a shop not so well trained. My interest caught in aged and decomposing trunk which I managed to heal the wound. 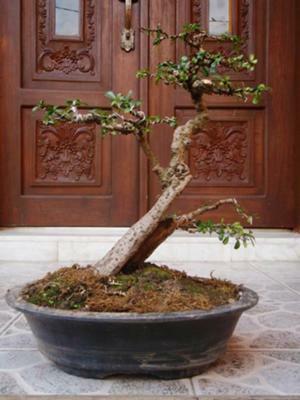 I prune the unshaped crown and turns mundane tree into a scintallating aged bonsai.